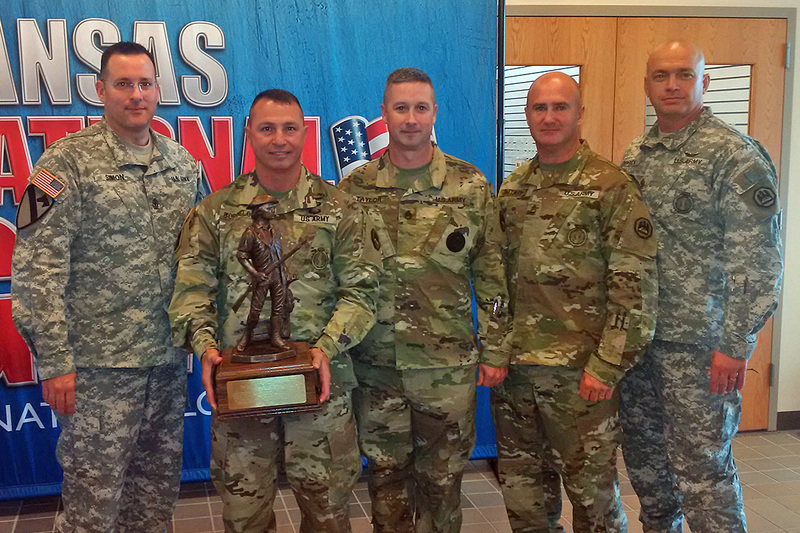 NEW ORLEANS – Soldiers from the Louisiana Army National Guard’s Recruiting and Retention Command accepted a coveted award on behalf of the state during the Region V Strength Maintenance Advisory Council conference in Kansas City, Kansas, Oct. 24. The Salem 1636 Award of Excellence, which draws its name from the founding of the National Guard on Dec. 13, 1636, in Salem, Massachusetts, goes to the state with the highest overall accomplishment in strength maintenance as measured by recruiting, retention, and attrition. 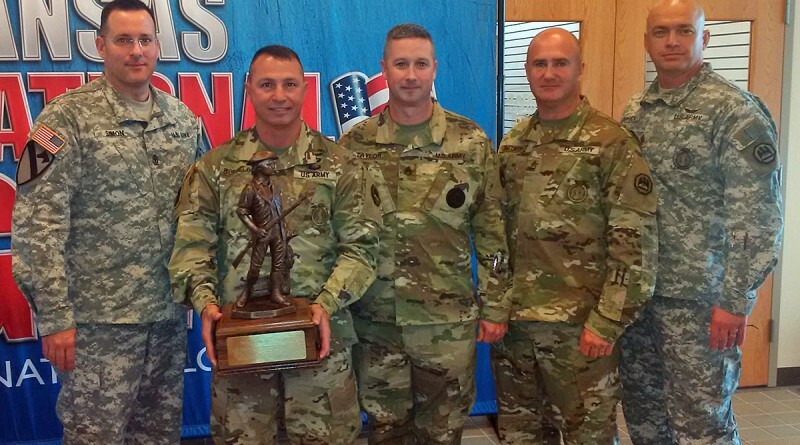 Louisiana earned the award by focusing recruiting efforts on filling unit vacancies and focusing attrition management and retention efforts on reducing turnover and maintaining more qualified Soldiers in their units, the Army National Guard and the United States Army. Louisiana was the only state in Region V, also consisting of Texas, Oklahoma, Arkansas, Missouri, Nebraska and Kansas, to reach 98 percent of the assigned mission for recruiting. The award comes shortly after the LANG was ranked number one for its retention numbers in fiscal year 2015. Its end-strength goal of 9,554 Soldiers was surpassed with a total of 9,650 Soldiers, or 101 percent. Also during the conference, individual awards were given to the top performing recruiters in Region V.
As the regional recruiting NCOIC of the Year, Hotard will go on to compete at a national competition in San Antonio in December. Another notable accomplishment was that LANG Staff Sgt. Christopher R. Taylor placed third for Recruiter of the Year. The competing recruiters had to demonstrate knowledge in categories such as Army programs, leadership, physical readiness training, retention, the Recruit Sustainment Program, duties and responsibilities of an NCO and the history of their state’s National Guard.